Located in Sisli, this spa residence is within 1 mile (2 km) of City's Nişantaşı Shopping Center, Istanbul Cevahir Shopping and Entertainment Centre and Trump Towers Istanbul. Taksim Square and Istiklal Avenue are also within 2 miles (3 km). Osmanbey Station is 10 minutes by foot and Sisli Station is 18 minutes. 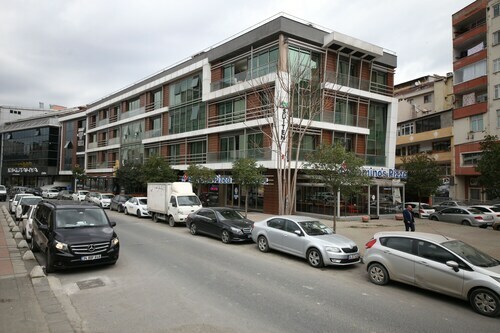 Located in Sisli, this residence is within 1 mi (2 km) of Amerikan Hospital and Istanbul Cevahir Shopping and Entertainment Centre. Taksim Square and Dolmabahce Palace are also within 2 miles (3 km). Osmanbey Station is 10 minutes by foot and Maçka Cable Car Station is 17 minutes. Located in Taksim, this residence is within a 10-minute walk of Istiklal Avenue and Taksim Square. Galata Tower and Dolmabahce Palace are also within 1 mile (2 km). Taksim Station is 5 minutes by foot and Tophane Station is 12 minutes. Located in Kadikoy, this residence is within 1 mile (2 km) of Bagdat Avenue and Suadiye Beach. Marmara University is 2.8 mi (4.5 km) away. Istanbul Suadiye Station is only a 2-minute walk and Istanbul Bostanci Station is 19 minutes. Located in Buyukcekmece, this residence is 0.4 mi (0.6 km) from Tuyap Fair Convention and Congress Center, and within 3 mi (5 km) of Buyukcekmece Beach and Aqua Marine. Istanbul Aquarium and Ataturk Olympic Stadium are also within 16 mi (25 km). 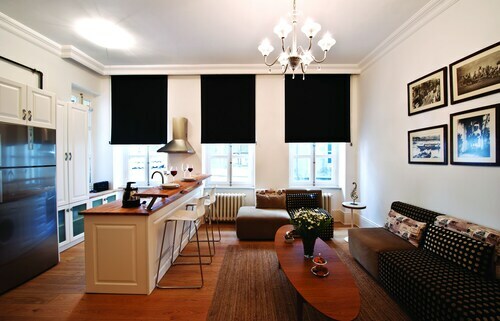 Located in Istanbul City Center, this residence is steps away from Galata Whirling Dervish Hall and Galata Tower. Spice Bazaar and Suleymaniye Mosque are also within 2 mi (3 km). Tunel Square Station is only a 4-minute walk and Karakoy Station is 10 minutes. Located in Istanbul City Center, this residence is within 6 miles (10 km) of Istanbul Congress Center, Taksim Square and Dolmabahce Palace. Galata Tower and Grand Bazaar are also within 6 miles (10 km). 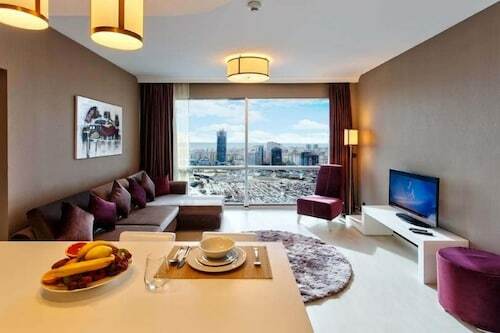 Located in Taksim, this residence is steps away from Demiroren Istiklal and Istiklal Avenue. Taksim Square and Pera Museum are also within 10 minutes. Taksim Station is 6 minutes by foot and Tophane Station is 12 minutes. Located in Buyukcekmece, this residence is 0.8 mi (1.3 km) from Perlavista AVM and 2.6 mi (4.1 km) from Buyukcekmece Beach. Mall of Istanbul and Grand Bazaar are also within 25 mi (40 km). 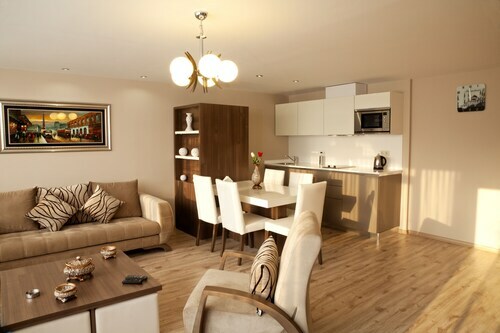 Located in Atasehir, this residence is 1.5 mi (2.4 km) from Watergarden and 2.6 mi (4.2 km) from Yeditepe University. Bagdat Avenue and Suadiye Beach are also within 6 miles (10 km). 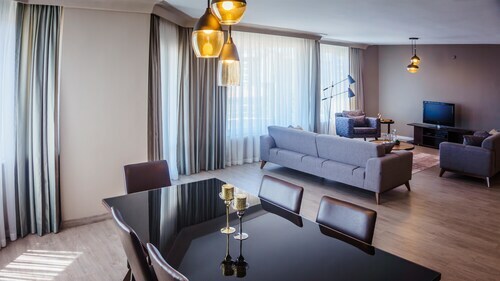 Located in Kagithane, this residence is within 2 miles (3 km) of Trump Towers Istanbul, Istanbul Sapphire and Istanbul Cevahir Shopping and Entertainment Centre. Kanyon Mall and Ozdilek Park Istanbul are also within 2 miles (3 km). 4.Levent Station is 29 minutes by foot. Bagging your Istanbul Residences on ebookers means finding a spot to call your own on that next travel adventure. These sorts of stays tend to come with a real home vibe to them, packing in extras like lounges and self-catering kitchen spaces, dining rooms and multiple bedrooms. 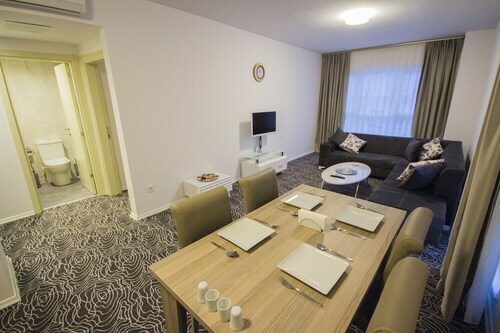 Only, these aren't just another apartment rental, because residence holidays also usually have an edge of hotel service. That could be as simple as a dedicated reception desk to ensure you check-in is personable and smooth, or as much as a fully-fledged concierge and housekeeping arrangement to keep things organised and clean every day. For families or groups of travellers, a residence in Istanbul could make all the difference. Instead of having to seek out several rooms to keep the whole crew comfy, you could find a single booking in one of these accommodations that covers all your needs. 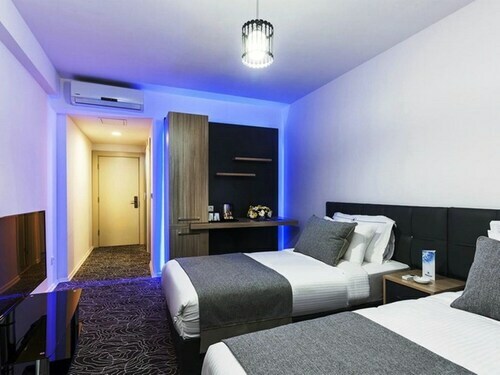 That's not just because you're likely to find places that have enough beds and bunks for everyone, but also because residence stays are usually located close to major sights and monuments, and just as well-connected as big-name hotels to the heart of the destination. 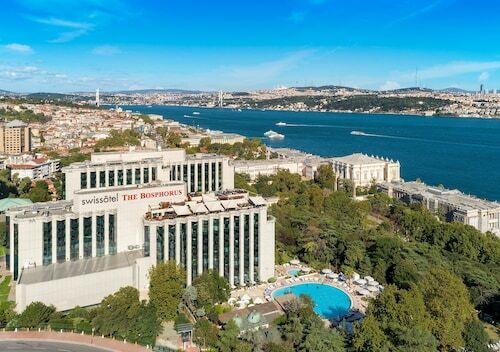 If you're keen on saving the pennies for those sightseeing tours and all the adventures you've got planned in Istanbul, you might be surprised by just how much value is on offer from Residences. Because you're likely to be able to get a pad in residences to fit the whole party, you can often reduce the cost by dividing the rate between more people. What's more, residence holidays usually mean having a self-catering kitchen at hand. If you're the sort who loves browsing through local farmers' markets and seeking out the regional tipples, then you'll be able to cook up meals and dodge hefty restaurant bills for the whole duration of your stay. 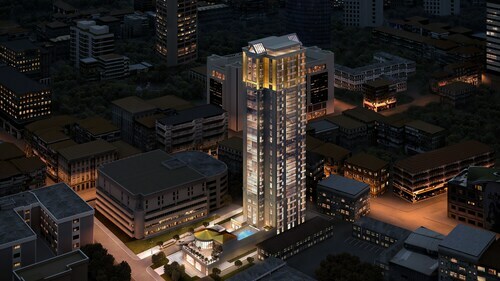 Just because they could help you save money, it doesn't mean that Istanbul Residences can't channel a little luxury. 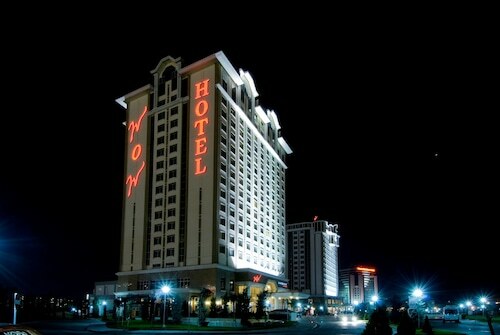 In fact, these sorts of accommodations often have the same level of style and class as a 4-star hotel. For example, there are residences that have glimmering pools and bars on their roofs. There are some that have communal gyms and even spa facilities where you can de-stress the muscles after long days of sightseeing. Others will have room service options, breakfast buffets as standard, or on-site cafes for that morning brew. There are all sorts of residence stays on the menu on ebookers these days. We've made it as easy as we can for you to discover the Istanbul Residences that suit your style of travel the best. All you need to do is enter the dates you're planning on going and we'll reveal a list of the top accommodations in the destination. You can even make use of our handy travel map. That lets you zoom in and out of particular areas and neighbourhoods so you can pinpoint the places that are closest to the landmarks and attractions you're most excited about seeing.